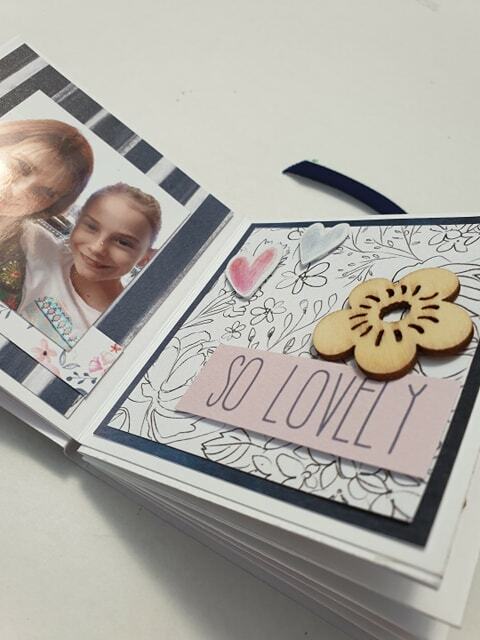 Here are the projects Karyn and I are teaching at our all day scrap on 23rd of March. Remember you will get to do three projects on the day. We still have a few spare seats, if you would like to join us. Just ring me on 0416053688 for more information or to book in. Scoring tool/bone folder, paper trimmer, ruler, adhesive, dimensionals, scissors, journalling pen, pencil, eraser, photos (I use 6 of 1.75" x 1.75"). 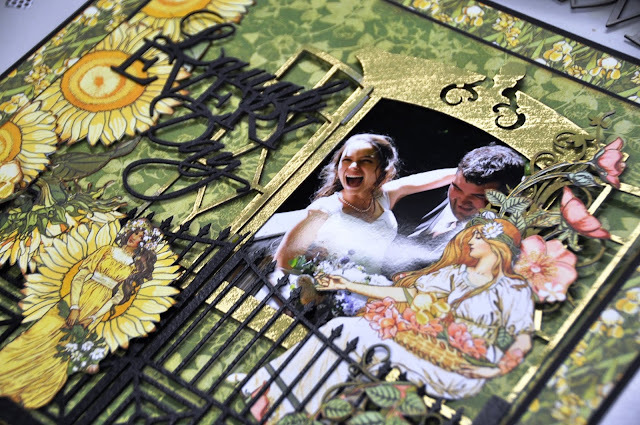 I will be teaching a lovely garden focused layout using Graphic 45's Garden Goddess. 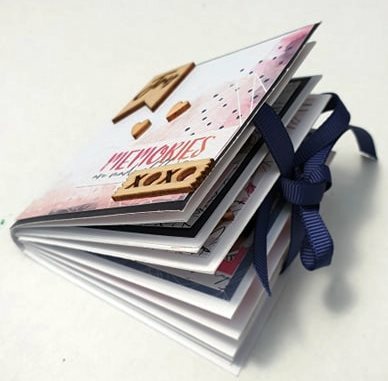 I will have a selection of titles you can choose from for your own layout. You will need a 4x6 inch portrait photo. Paper trimmer, ruler, adhesive, foam tape, gel glue, favourite fussy cutting scissors, pencil, paper piecer and mat, brown ink pad, peeled paint distress oxide ink pad and foam if you have them. REMEMBER IF YOU DON'T HAVE EVERYTHING WE CAN LOAN YOU SOME ITEMS ON THE DAY. For your third project you will get to chose from a project from Karyn or Me. 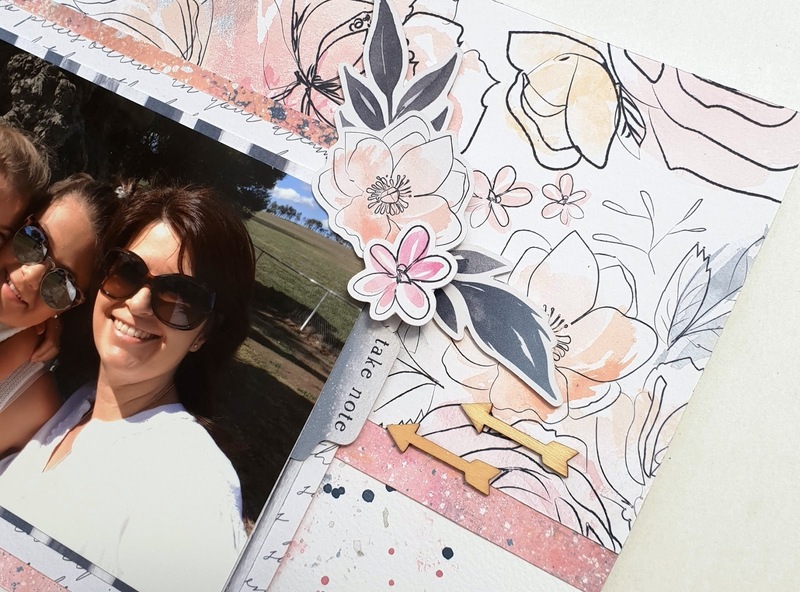 Karyn has a layout for her second project with a touch of mixed media. 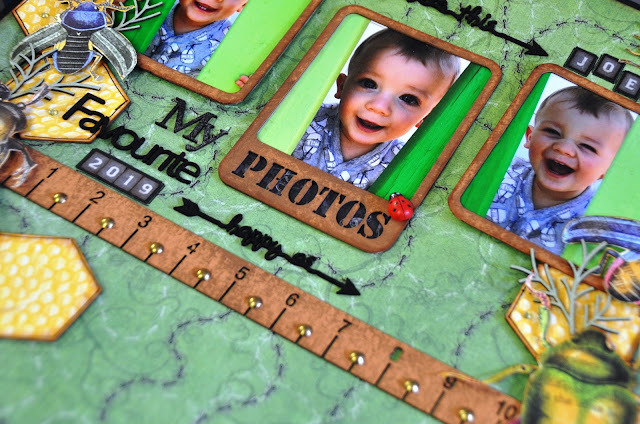 It looks beautiful and I am sure lots of you will want to do this lovely layout. Paper trimmer, ruler, adhesive, foam tape, scissors, journaling pen, pencil, eraser, photo (6"x4" landscape), paper towel, baby wipes, paint brushes, water pot, paint palette, messy mat, heat gun, plastic packaging. Remember if you don't have everything you can loan some of ours. I also have a special layout as my second project. It is one I have done for my youngest grandson. I have used Graphic 45's Flutter collection and Imaginarium designs chipboard. There is a heap of bugs crawling around the page so make sure you bring your favourite scissors. You will need to bring three 3x4 inch photos if you wish to finish the page. Please note that black/white photos will work a treat. Paper trimmer, ruler, gel glue, double side adhesive tape, foam tape, scissors, pencil, eraser, brown ink pad, paper piecer and matt. So here is what you need to know. Clovelly Park Memorial Hall 16 York Ave Clovelly Park. We will open the doors at 9am and start the first class at 9.30am. Karyn will start the day with her mini book. Meg and Julie have a delicious morning tea for us, and I will be cooking some yummy pasties for lunch. We plan to finish around 4.30pm. If you don't get your 3 projects finished by then, you will have instructions to work from, so you can finish them at home or you can arrange to finish them with me after the day at my home. We are planning to have extra kits of both of the optional third project, you will be able to purchase the one you don't do on the day, should you like them both. We do have a few seats left if anyone of you would like to join us. Just ring me on 0416053688 for more information or to book in. Looking forward to catching up with everyone, it is going to be a great day!! !